Good blackout window shades are an ultimate necessity in the business of stealthy camping. 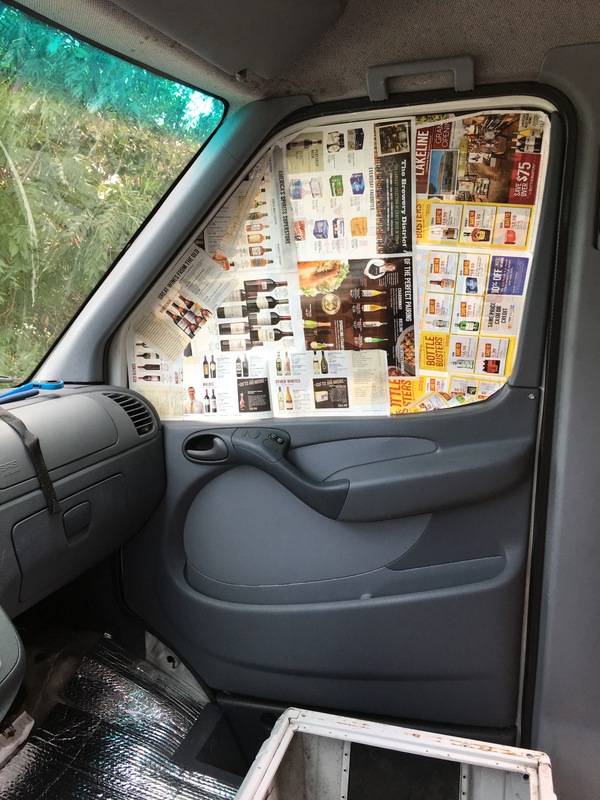 Here is how we put together some simple diy window shades for our Sprinter Van. 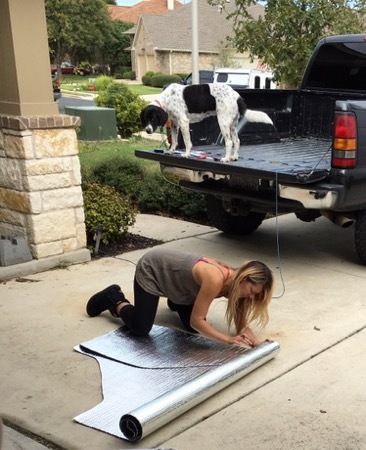 These diy window shades provide insulation, privacy, and keep the outside oblivious of the happenings on the inside. 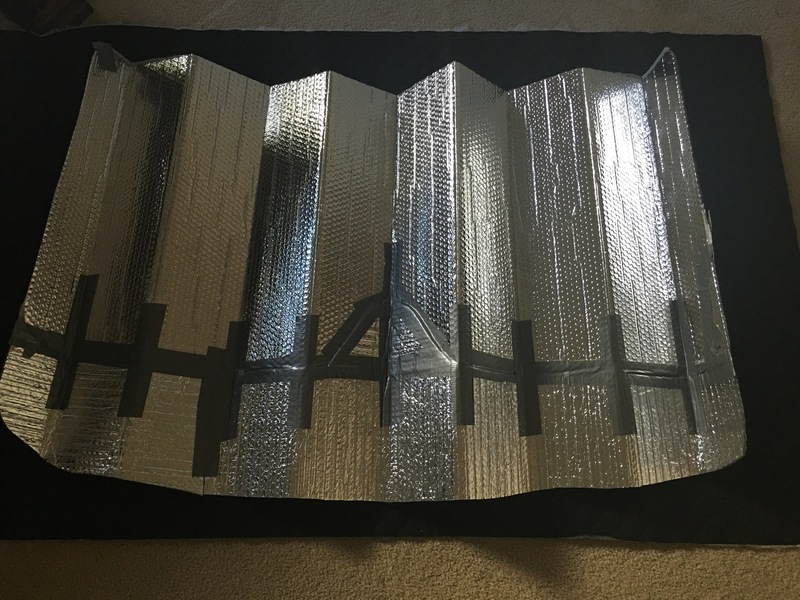 I suppose one can buy window shades online, but I happened to have a bit of Reflectix left over and was in the DIY mood. Ok everybody, it’s arts & crafts time, grab your supplies! Tape newspaper to the inside of your drivers or passenger window, folding corners where necessary, until the window is fully covered. 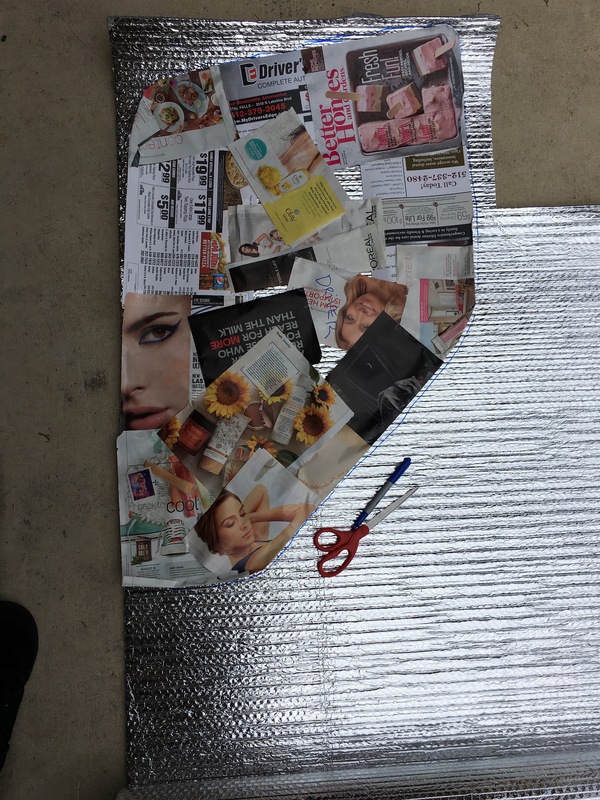 Carefully remove your template and trace the perimeter on the Reflectix, leaving a little extra space for error. Trace one for the passenger and one for the drivers side window. I made a template the same way as described above, but we used an XLG window shade (about $10 at the Walmart) for the bulk of the shade and just extended it with Refectix, to fully fit the front window. We wanted to make sure if it was dark and we had the lights on inside, that no light would escape, thus notifying people on the outside that something was going on in here. No, no ones living in there, that’s just an old painter van. 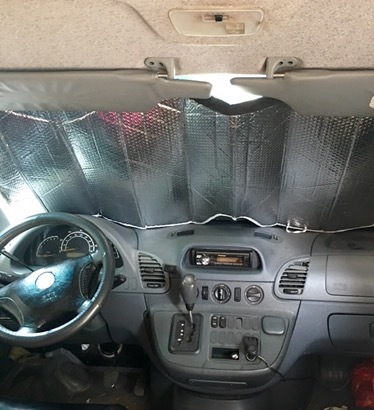 Attach the extra Refectix to the main window shade with spray adhesive and duct tape. 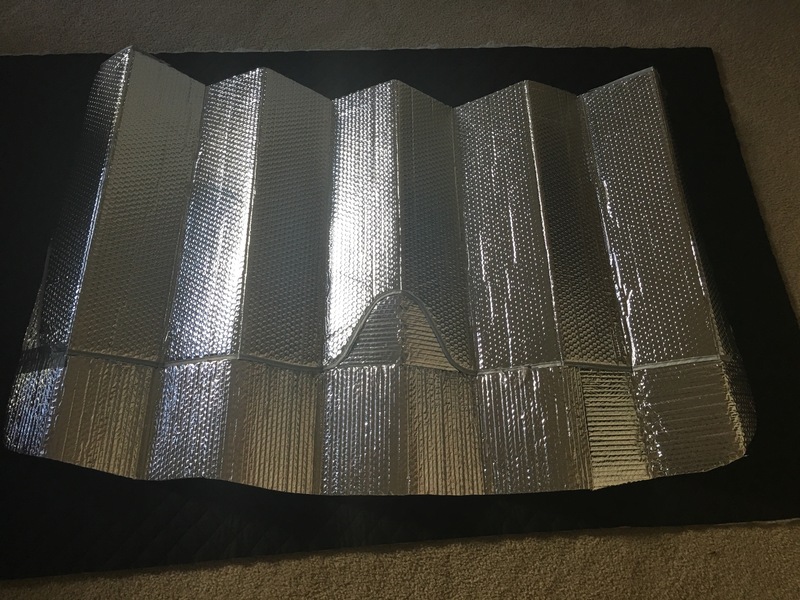 Cover one side of all 3 shades with your fabric, attaching with spray adhesive. Cut the overhanging fabric to fit the shade. We found this idea from RoadTrekLife. Check it out for a few more details and extras. They put a bit more time and effort into making their shades, but these simple ones we put together have been working just fine. 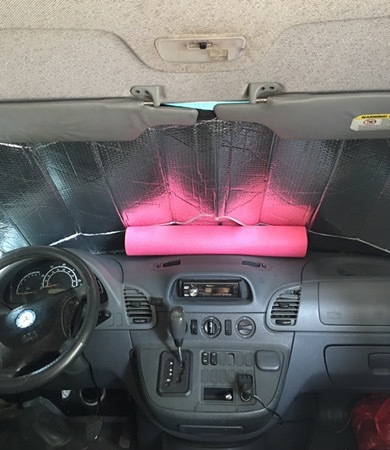 The large front shade does sag a little in the middle, and RoadTrekLife had a good fix for that, but I just shove my yoga mat in the dash to push it more snug against the window, and that seems to do the trick.